Known for scenic landscape, snowy terrain, lush green pasture land, dense forest, glacier pools, stunning rivers and streams, somebody has aptly said that the Himalayas are doors to heaven. The magnificent Himalayas are home to the several Indian Gods, major rivers like Ganges and Sutlej and one of the world’s tallest mountains peaks like Kanchenjunga and Mt. Everest. With high altitudes and an abundance of exotic flora and fauna, Himalayas offer some of the best trekking options to adventure lovers. The Himalayas not only provide serenity to your soul, but also helps you learn how to redeem yourself when you fall and fail. Trekking in the Himalayas is of course not an easy task, but conquering the challenges posed by mighty snow-covered mountains will develop a sense of pride like you never had before. The Himalayas offer a number of trekking expeditions in the Himalayas. Some of these trekking trails are ideal for beginners and thrill-seekers, and others are meant only for the adventure pros. The trail goes through snow patches, slippery and rough slopes, green meadows and barren terrains that will keep challenging you throughout the expedition. Northern Indian states like Himachal Pradesh, Uttarakhand and Jammu & Kashmir are surrounded by the Himalayas and are known for its pristine natural beauty. Trekking in these states lends a unique experience in itself. Treks like Goecha La and Bara Bhangal are a must try for those who prefer moderate difficulty. Stok Kangri and Everest Base Camp treks are not everyone’s cup of tea as they require prior experience and extreme physical fitness. Treks like the Valley of Flowers and Har ki Doon are for those whose eyes are looking for the raw beauty of nature. 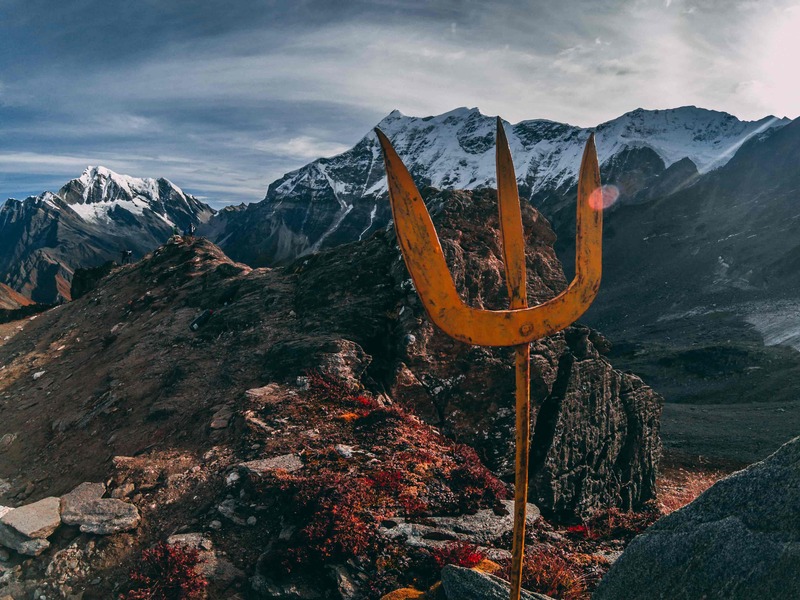 Situated in the ‘Land of God’, Uttarakhand, Roopkund is a glacial lake located at an altitude of 5,029 m. Surrounded by the snow-white majesty of Mt Trishul, the Roopkund trek is popular for its ‘Skeleton-Lake’, which consists of around 500 skeletons. The base camp of the trek is Kathgodam, which is a beautiful town in the Nainital district. The course goes through picturesque terrains, lush green meadows, dense forests and mountainous river. In the milieu of many myth busters, it would be really exhilarating for a trekker to unravel the untold tales behind its spiritual significance. Moreover, the dazzling views of the glaciers, crystal-clear lakes, green meadows and dense oak forests make Roopkund trek a must-do for every adventure seeker and nature lover. Positioned at a high altitude of 4648.2 m, Rupin Pass is one of the most desirable treks for those seeking intense adventure and thrill. The trek starts from the scenic land of Uttarakhand, and enters into the mountainous terrain of Himachal Pradesh. The base camp of the trek is Dhaula, which is a small hamlet in Uttarkashi and the end-point of the trek is Sangla, a town nestled in the Baspa Valley. The trail passes through lush green pasturelands, rustic hamlets, enthralling suspension bridges, dense forests, stunning rivers, and gushing streams and waterfalls. The experience of camping in the forest aside the river stream, under the glittery sky and mountainous surroundings is both fascinating and thrilling. The most astonishing thing about the trek is that a trekker has to follow the River Rupin in opposite direction to reach the summit. 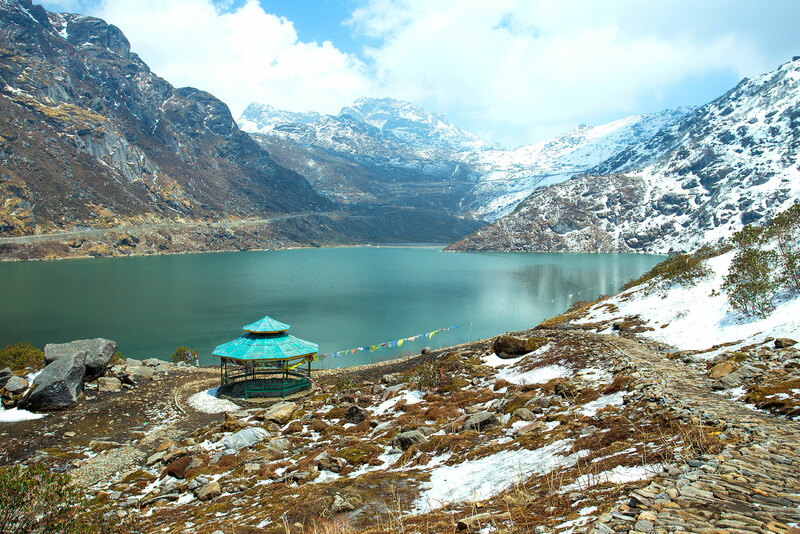 Nestled in the Himalayan range of Northeast India, Goecha La is a high mountain pass, situated in the beautiful state, Sikkim. This pass is very popular among trekkers as from here; one can witness the stunning beauty of the world’s third highest mountain called Mt. Kanchenjunga. Trekking to Goecha La is like a walk in the Alice’s wonderland. The trail gives you an opportunity to explore the stunning stupas, monasteries, temples and wildlife sanctuaries. It is home to lush green pasturelands, vibrant fauna, rare wildlife species, alpine meadows and glaciers. The trek, which begins from Yuksom, goes through Dzongri, Phedang, Thangsing, and ends at Goechala. The trekking experience at Thansing and Lamuney is going to be one of the most memorable experiences in your life. Perched at an altitude of 4593 m in Uttarakhand, Pangarchulla Peak trek takes you to the most picturesque routes and surroundings. During trekking, you will come across green meadows, deep forest, majestic views of floating clouds, magnificent peaks and rare sights of flora and fauna. The expedition starts from the scenic hill station of Auli, which is popular among travellers for its ski slopes. Auli is the base camp of the trek from where one can enjoy the splendid views of mighty Nanda Devi. On reaching the hilltop of Kuari, capture the wonderful vistas of snow-capped mountains and witness the beauty of serene landscape known as ‘Bugyals’, encompassing stunning forests, green meadows and the confluence of several rivers. Situated in Himachal Pradesh’s Manali, Hampta Pass is known for offering dazzling views of Pir Panjal Ranges and Kullu and Lahaul valleys. 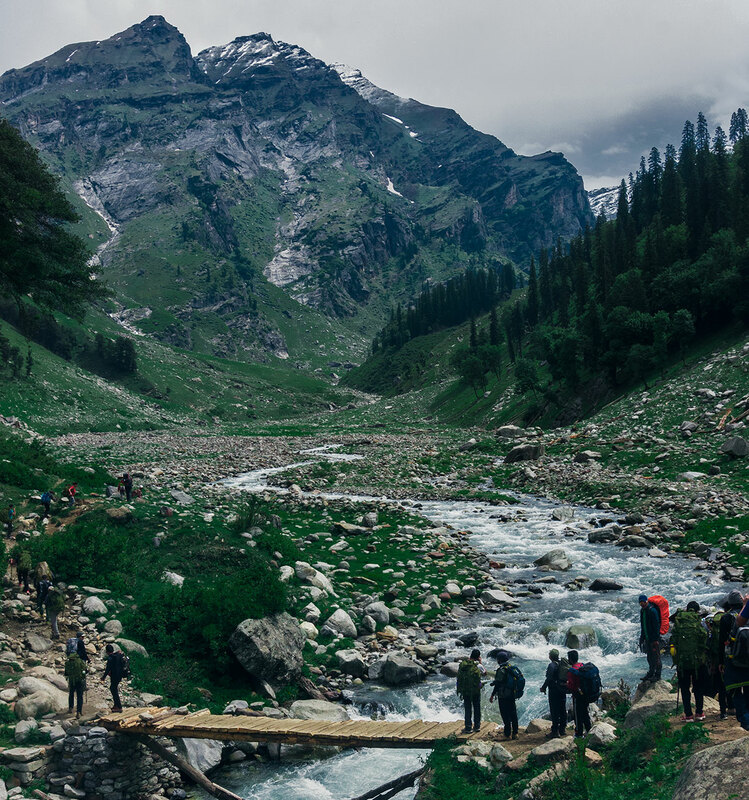 The ever modifying scenery captivates the trekker in its beauty with an exquisite sight of hidden gems in the valley, including mountain goats, glaciers and alpine forests. Certainly, the splendid scenery of snow-capped mountains contributes a lot to making this five-day trek truly fascinating. While hiking towards the summit, the course offers different shades of nature, consisting green pastureland to awe-inspiring views of Indrasan and Deo Tibba mountains. From the top of the summit, one can experience the splendid views of a different world, which is enveloped in the raw beauty of nature. The panoramic vistas of the valley and cool breeze are two things that will not leave your side on this journey. 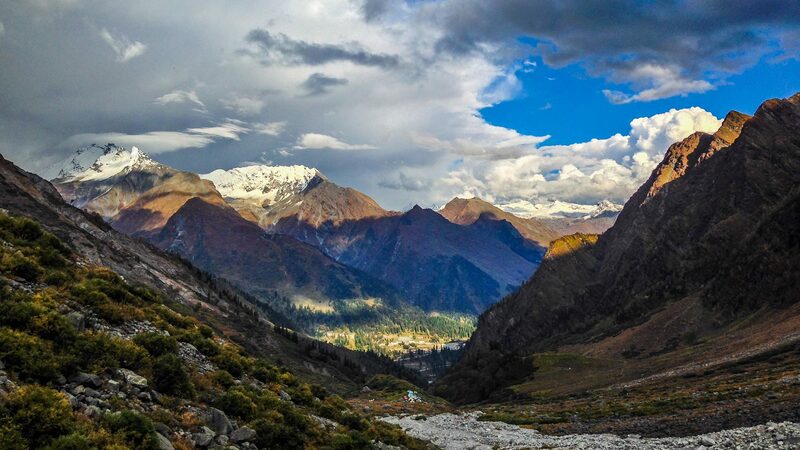 Connecting Kullu’s Parvati Valley and Spiti’s Pin Valley, the Pin Parvati Pass trek offers the contrasting views of snow-capped mountains and the green pastureland. 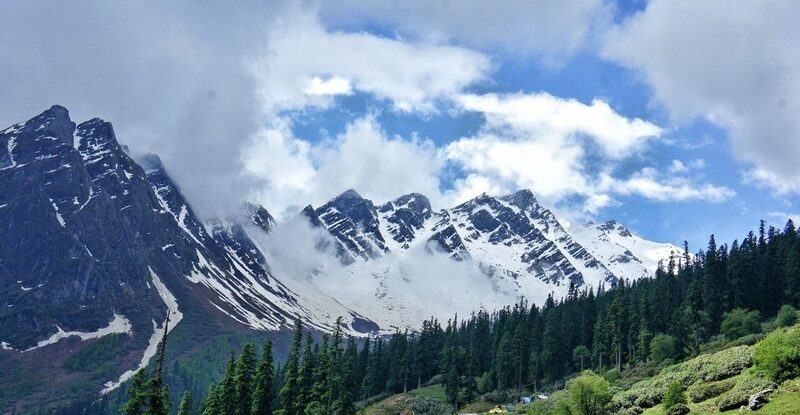 On this journey, a trekker would be amazed to see the green and grassy landscape of Parvati Valley on one hand, and the barren lands of the Pin Valley on the other. 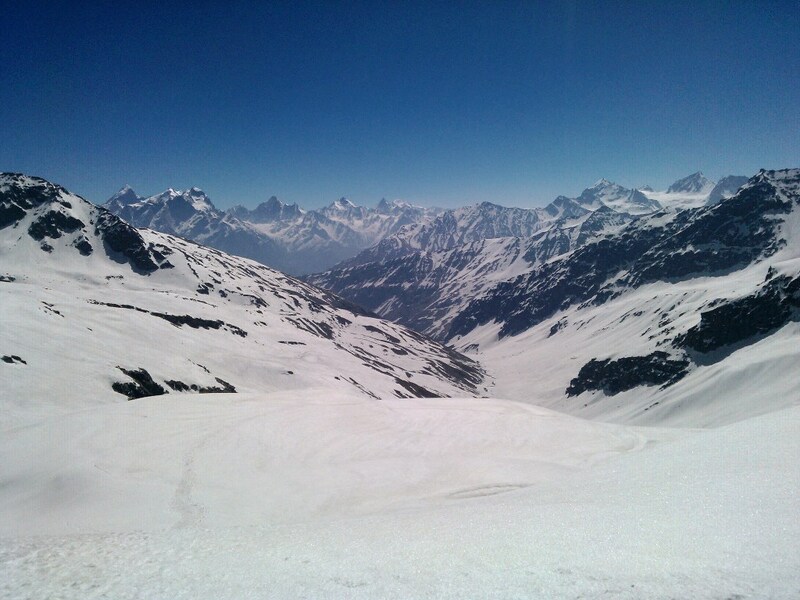 This 10 day trek is considered as the most adventurous and a difficult trek in Manali. It remains untouched by a large number of trekkers. The journey begins from the base camp at the village of Rumsu, and goes along the River Parvati to Pin Parvati Valley. This expedition comes to an end when you drive back to Manali via Losar, Kunzum La and Rohtang Pass. 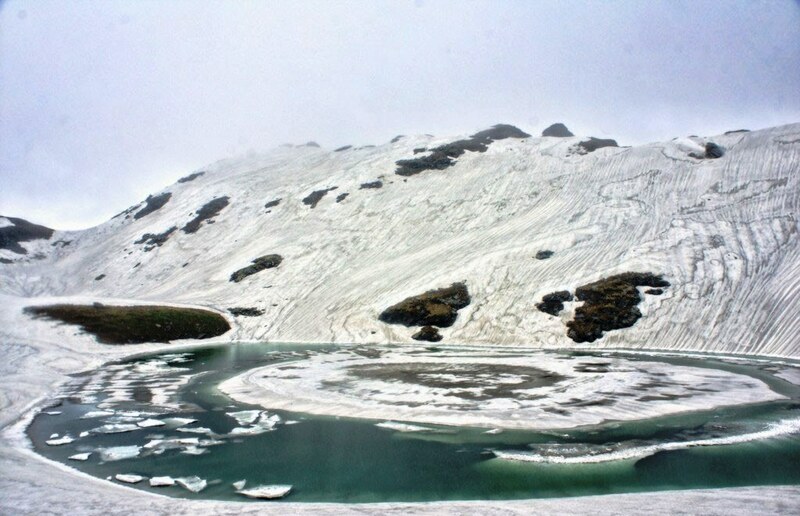 Situated in Himachal Pradesh, Bhrigu is a stunning crystal-clear lake formed by the melting of glaciers. The trek begins from a little hamlet, Kolang, and offers stunning views of alpine mountains and green valleys. The magnificent sights of Gulaba, Rola Kholi and Pandu Ropa make you believe that childhood dreams do come true. A course from Gulaba to Rola Kholi leads you to apple and walnut orchards, icy pools, snow patch fields and glacial rivers. You will also get a chance to take a dip in the Vashisth Hot Water Spring. 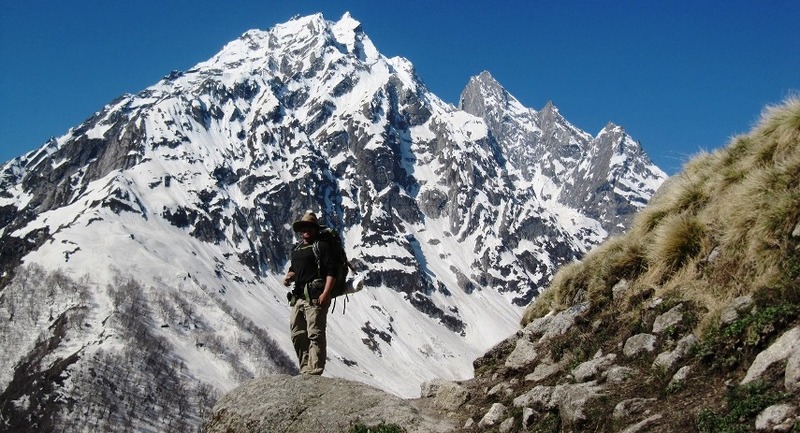 The Beas Kund trek is considered as one of the best treks in Manali. This trek can be undertaken by both beginners and ardent trekkers. The pictorial dells of Bakarthach and Dhundi are exceptionally splendid. Also, a sight of River Beas, which is fed by the glaciers, is simply breathtaking. The journey starts from the spectacular valley of Solang and passes through stunning waterfalls, green meadows, gushing streams and the striking snow-covered mountains. On reaching Dhundi from Solang, trekkers would find themselves surrounded by the dense forest of deodar and oak trees. Nothing could be better than spending a night at the campsite and crossing a few suspension bridges to reach Bakartach, from where a trekker can enjoy a 360-degree view of the Great Himalayas. 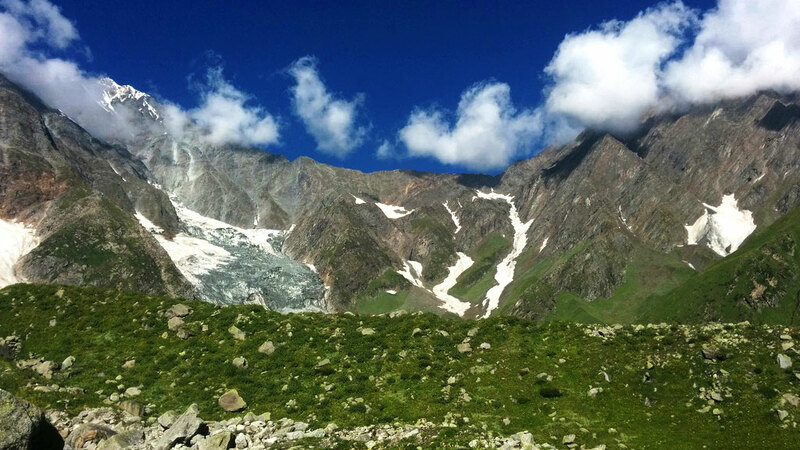 Also, the trek gives you an opportunity to capture some magnificent views of Deo Tibba, Hanuman Tibba and Shitidhar.